Defined Electric is a family owned business with 30+ years of experience serving Albuquerque and the state of New Mexico. We offer a good quality service with UL listed materials. We take no shortcuts and will complete any job to customer satisfaction! Born and raised in Albuquerque, Dennis Lucero has been in the construction business – both electrical contracting and building – since 1982. He is experienced in all parts of building construction, which gives him a solid understanding of all aspects of a project, not just the electric. In 1982 Dennis joined the Navy as an electrician. He was in the Navy active duty for 6 years, and was honorably discharged. The service made Dennis a more thorough and detailed person, with high standards for his work. He always does a high quality and thorough job. Dennis attended TVI (CNM) for 18 months, after which he worked for various electrical contractors across the city, including working as manager of electrical systems at the AngelFire Resort, finally making the decision to start his own electrical contracting company in 2005. Defined Electric is a small company, growing fast, and is fully equipped with work trucks, materials and equipment. With Defined Electric, you get the benefits of both years of knowledge and experience, as well as the personalized attention that can’t get from bigger contractors. Our company is diverse, employing women and minorities, and our skilled electricians have a wide range of knowledge in the electrical trade. Our services are located in Albuquerque and Rio Rancho, NM, but we have completed projects across the state and will travel throughout New Mexico & the Greater Southwest for your electrical project. Defined Electric is licensed, bonded and insured. 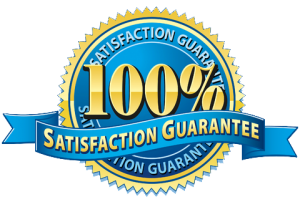 All work is done to a very high standard of workmanship, and backed by our 100% satisfaction guarantee!